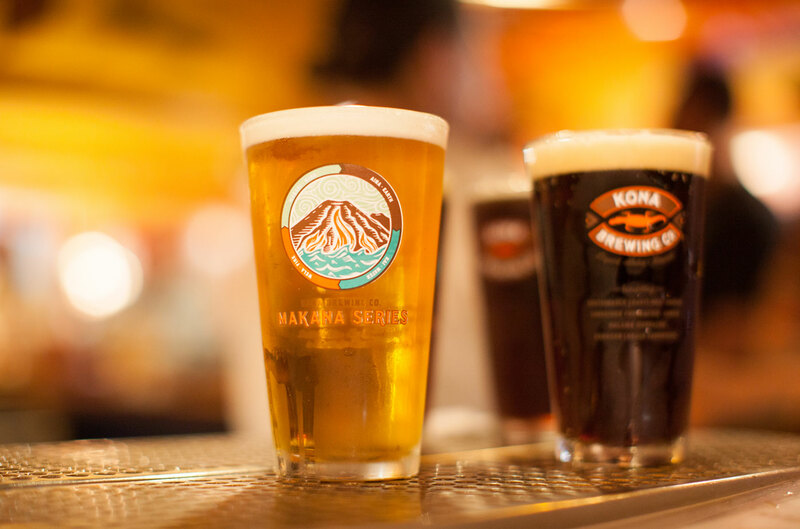 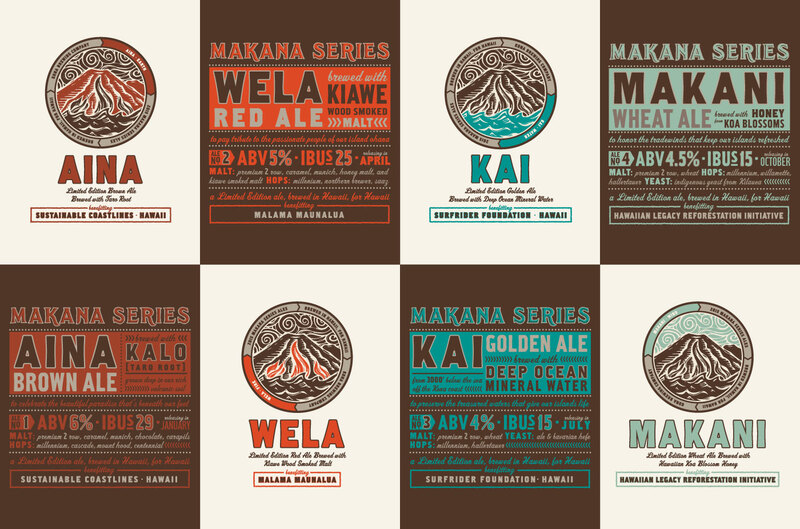 Kona Brewing Company Makana Series – Flint Design Co.
Hawaiians love talking story. 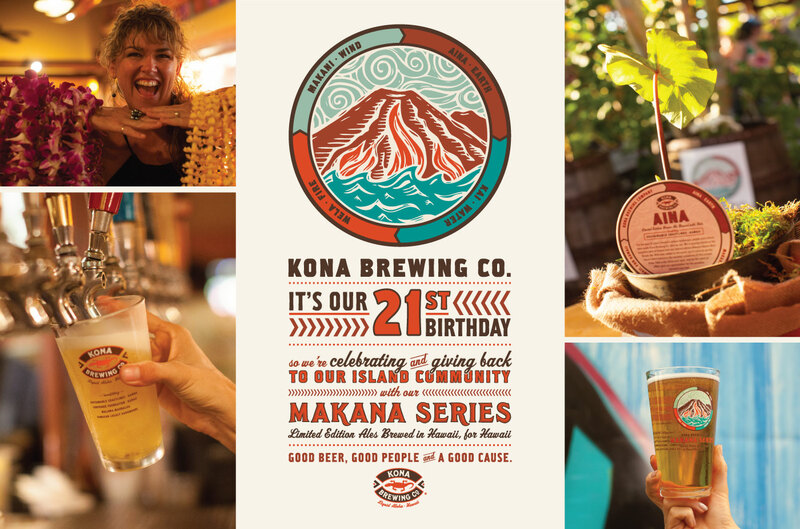 So when Kona wanted to highlight the good work being done to help their home thrive, we opened our ears to the mythology and history of the islands to tell the story of its modern-day heroes. 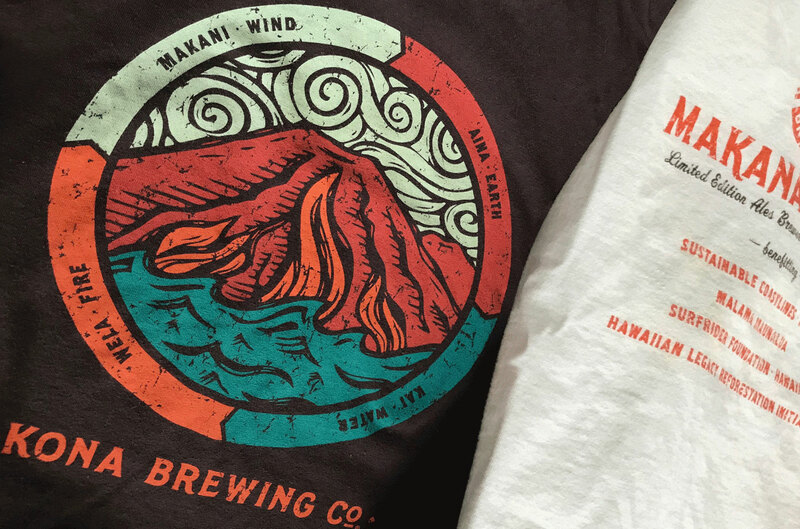 Inspired by Hawaii’s Aina, Kai, Wela, and Makani (that’s earth, sea, fire, and wind for mainlanders), we worked with limited budget to connect a single, iconic image with the island’s environment, using colors reminiscent of the four beers, four seasons, and four elements. 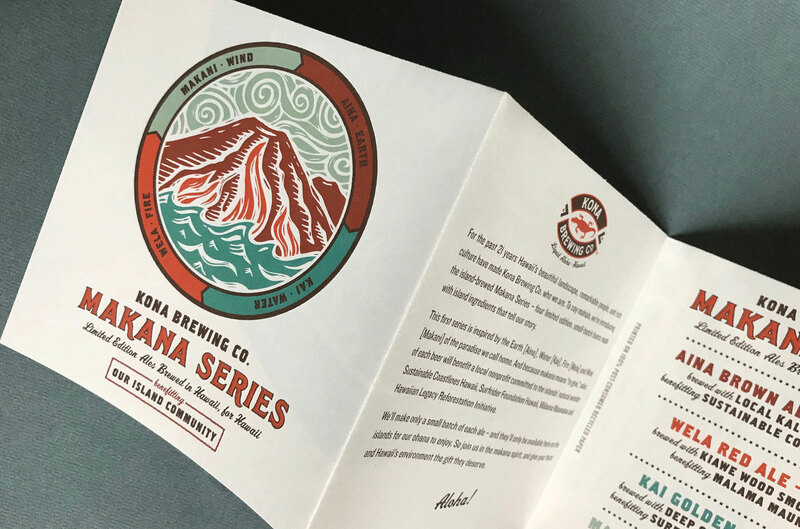 The result: A modular subrand for Kona Brewing Co., and a year-long program that’s raised over $10,000 for charity while engaging the media, trade, and locals in a lasting way. 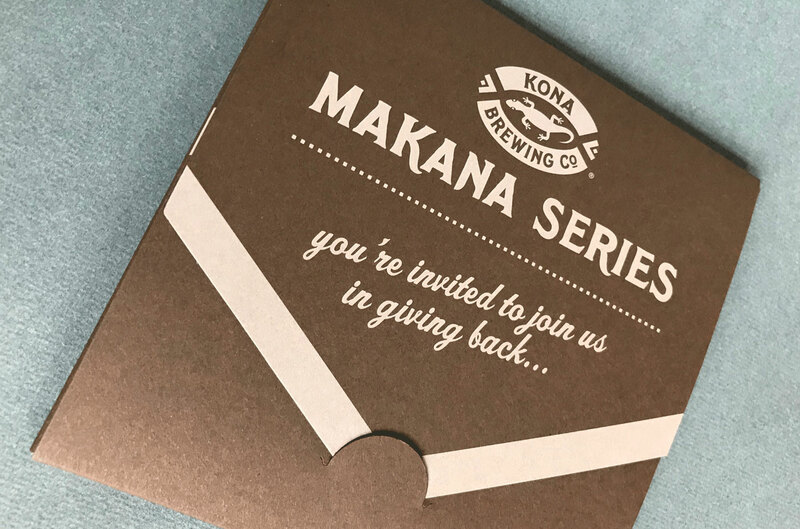 Beach and bay clean-ups, trail restoration, and reforestation projects have made Kona a new center for giving back, kicking back, and sharing their stories.